It’s great when teachers share their strategies and ideas, especially when they come as detailed as this! We have had some successes with writing books using Book Creator and publishing them to iTunes. I thought I would outline the process here because it really is simpler than you might think. Here is our workflow for this particular lesson. It was Guy Fawkes night and children had stories to tell of their fireworks experiences that we wanted to record and share. Firstly we had a play with the Real Fireworks App (an app I’d paid for, but there is also a free version). The app very cleverly lets you take a screenshot of the fireworks in action as you create fire bursts. These were saved onto the iPad’s Camera Roll and transferred using Flick or the Photo Transfer app, which can move whole sets of photos to an iPad in one go. To collect the children’s writing in one place for this lesson I decided to use Google Forms. I had found a cool video of a drone flying through exploding fireworks so threw that in the form as well to keep things lively. Here is a link to the actual form. Of course the children needed to have access to the form so I embedded and linked it into a blog post on our school blog. The blog is bookmarked on all the children’s devices and added to the home screen of the iPads so everyone knows where to access everything we might need. The children were able to view the video independently and write their text in the form. That night I accessed the form via the Google Drive/Google Sheets app on the iPad. I copied the text from the forms onto the screenshots (which I had already imported into Book Creator). I matched the colours of the text with the colours of the fireworks so it would all look lovely. Next day I had the children record their narration of the text. To improve the quality of the recording I used my iRig Mic and my mic on the Apple ear buds, which worked quite well. I wanted to have a little video in the book as a practice so used X-Mirage to reflect my iPad onto the Mac and record the fireworks using QuickTime. The video was small enough to email to my iPad but I could have uploaded it to Google Drive if I needed to to get it onto my iPad for inserting into Book Creator. Boom! We were nearly ready to upload to iTunes. I needed to do a couple more things before sending it off to iTunes. I had to make sure the video was in MP4 format. To change it in Book Creator just select it and tap on the ‘i’ and change the format! I also took a couple of screen grabs, made a copy of the book and removed some pages to create a book sample for those who didn’t want to download the whole book. I uploaded the whole project to Google Drive as it was too big to email to my laptop. Google Drive gave me a shareable link to the multi-touch book that I could then share with people directly via an email link or blog post to give them a copy of the book without sending it to iTunes. Book Creator have published a 3-part tutorial on submitting books to iTunes, which is what I followed. I had already made an iTunes Connect account to publish the Bling For Your Blog book so that part was simple. I think the process would be a lot more complicated if you wanted to sell your books but I decided that they were all going to be free!!! iTunes Producer is the software template that allows you to upload your books, previews and blurb. You connect the iTunes Connect account with iTunes Producer. This is the easy part. You fill out all the information about the book for upload and if you get it wrong you will get error messages. This was the first time I had uploaded page previews and they had to be a specific size. I chose 748 x 1024 for the preview pages and 1023 x 1400 for the title page. iTunes then takes a look at your book and makes sure it is suitable to be in the iBooks Store and a day or so later your book is available for the world to download. Do take a look – we think it’s rather cool. If you didn’t want to go that extra step of publishing your book to iTunes you could easily export it to Google Drive or Dropbox and get a shareable link from there. 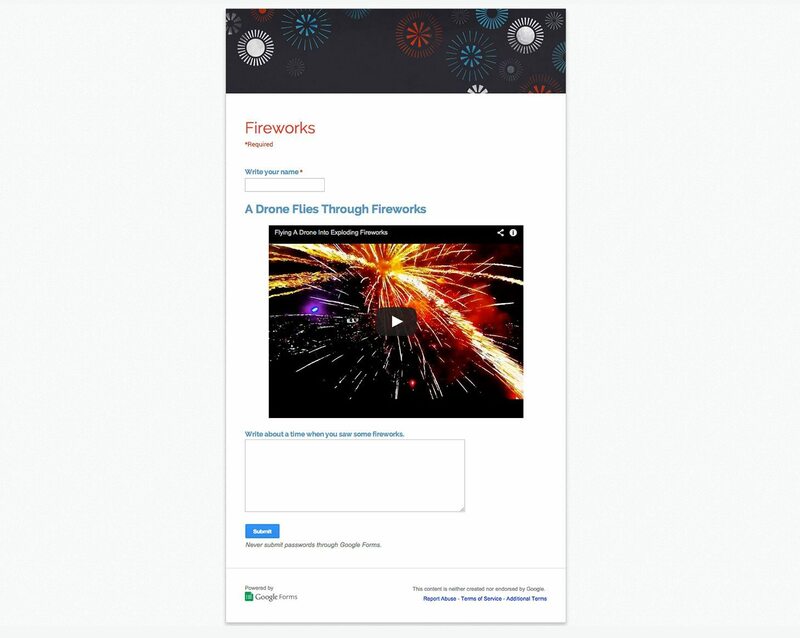 Here is the link to the direct download of the Fireworks book from my Google Drive. Allanah King is a Blended eLearning Facilitator, working for CORE Education and Learning with Digital Technologies to provide professional learning development for teachers. She also teaches part-time at Brightwater School near Nelson, New Zealand. She is an Apple Distinguished Educator, Google Certified Teacher and Book Creator Ambassador.